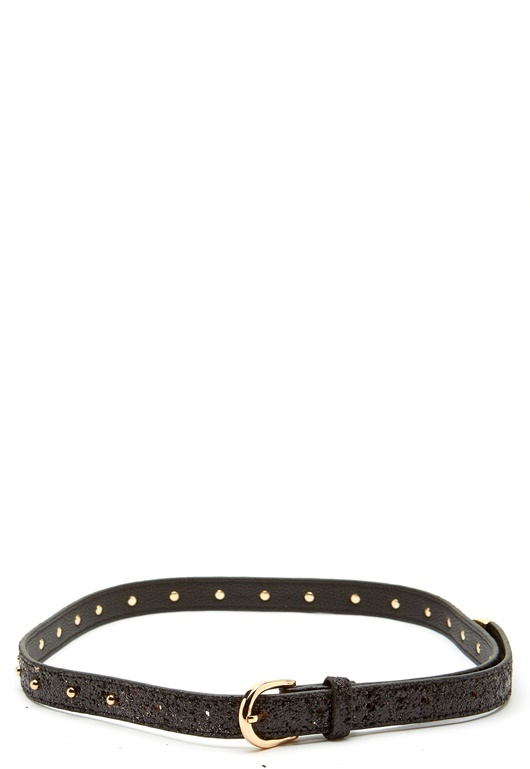 Gorgeous belt with glitter and rivets from SOFIE SCHNOOR. The belt has a lovely, gold color buckle and is perfect for both everyday wear and parties. Length 100 cm in size S/M, width 2 cm.